Most new media is destined to fail. Whether it’s a song, film, website, book, video game, or other type of media production, it’s extremely difficult to create works that resonate with audiences. -Use feedback to understand audiences and gain insights into the media being produced. 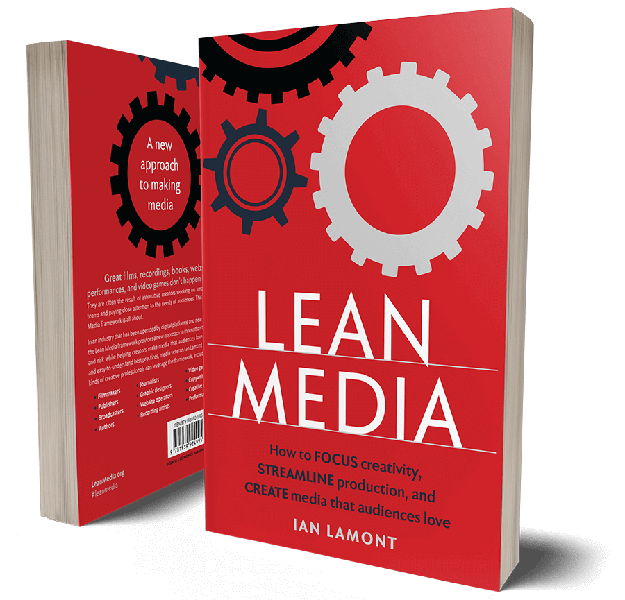 The book is filled with examples of Lean Media in action, ranging from small-scale works to major productions. Certain practices may seem counterintuitive, such as asking test audiences to look at an unfinished draft or rough cut, or working with a stripped-down team on a much faster development timeline. “It won’t take long to realize that these new ways of working can yield real results in terms of cost savings, less bureaucracy, and the creation of media that audiences love,” says Lamont. · Concentrated creativity With smaller teams and less bureaucratic overhead, a creative team can spend more time pursuing its vision and less time waiting for approvals. · Lower costs An emphasis on fast iteration and smaller teams leads to faster production, smaller budgets, and more efficient use of resources. · Reduction of risk The focus on gathering audience feedback early on – and changing course if warranted – means creators are less likely to develop media that flops upon release. Projects that can’t be saved are abandoned earlier, saving money and allowing team members to work on other, more promising projects. · Audience approval By the time the media is ready for public release, test audiences have experienced the work during various stages of development, with creators paying close attention and making improvements in response to feedback. It is more likely to be well received by real audiences when it launches. 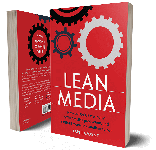 While the Lean Media framework will not completely replace established ways of developing media, it will make a real difference in helping teams understand their audiences and concentrate their creative efforts. From filmmakers, publishers, and broadcasters to recording artists, video game designers, performance artists, and many others, LEAN MEDIA provides a new perspective that will help creators hone their processes, lower costs, reduce the risk of failure, and ultimately create compelling content that resonates with audiences. Ian Lamont is founder and president of i30 Media Corp., which publishes the award-winning In 30 Minutes series of guidebooks. He is also the creator of the Lean Media framework, which can help creative people and production teams develop media that matters. Lamont’s career has spanned more than 25 years across three continents, including a stint in the British music industry and a six-year residence in Taipei where he worked for a local broadcaster and newspaper. Returning to the United States, he developed websites, online communities, and other digital products for Harvard University and tech publisher IDG. He later served as managing editor of The Industry Standard, winning multiple awards from the Society of American Business Editors and Writers (SABEW) and Trade Association Business Publications International (TABPI) for online projects, creative use of online, and online features. Lamont is a graduate of Boston University’s College of Communication. In 2011, he completed the Sloan Fellows Program in Innovation and Global Leadership, a full-time MBA program at the Massachusetts Institute of Technology. For more information, please visit www.LeanMedia.org.